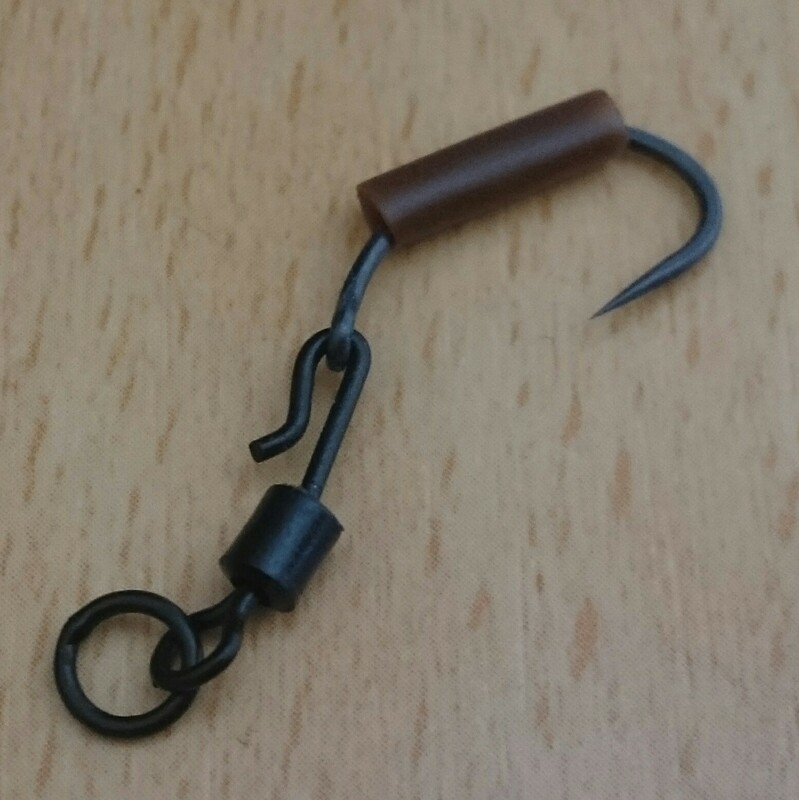 A rig that is getting quite a big following these days is the ‘Ronnie Rig’, we aren’t quite sure who invented it but we do know that it is an extremely successful rig that catches a LOT of fish!! 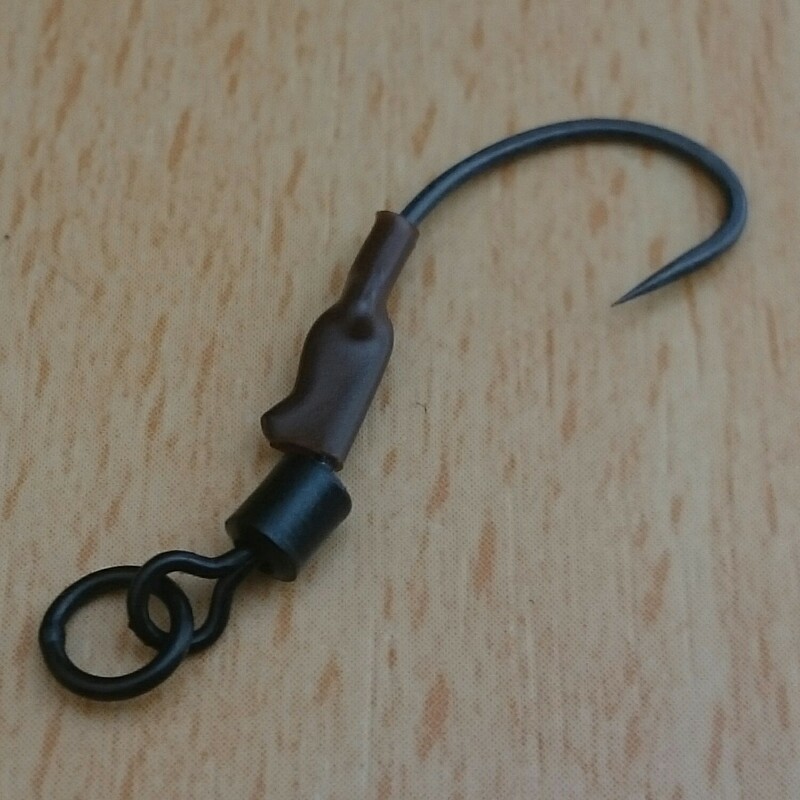 The rig itself is designed to allow you to present a pop up which sits nice and low, it has properties of both the stiff hinged rig and the 360 rig but without the dangers that have been suggested with the 360 rig. Okay you have your components and your ready to make the rigs up and it’s now time to make them up. 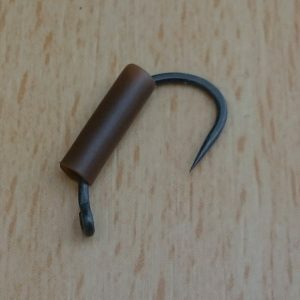 Firstly take your hook and slide a piece of shrink tubing onto the hook, you basically want a piece that is going to be long enough to cover from the barrel of the quick change flexi swivel up to about a quarter of the way up the hook. 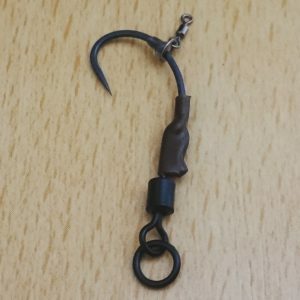 Next you want to put the hook onto the quick change flexi swivel, make sure that the curve of the metal on the flexi swivel points away from the point of the hook. 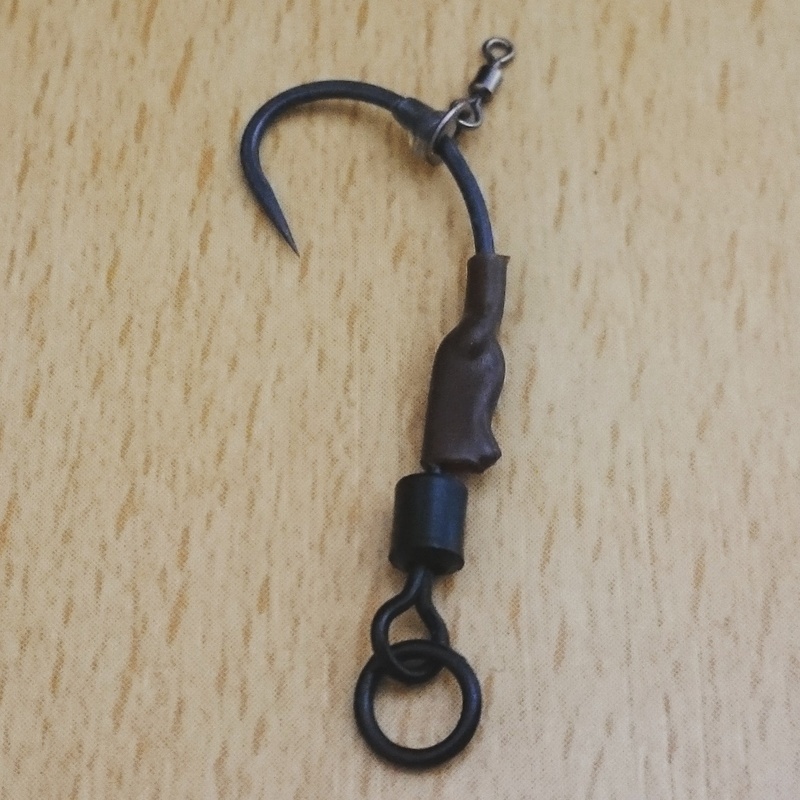 A good tip here to prevent your fingertips hurting is to pry open the entrance to the flexi swivel slightly with a knife as its going to get opened anyway when you push the hook on. Once the hook is in place use a pair of pliers to close the flexi swivel opening slightly and then slide the shrink tube down over the flexi link (you can push it up onto the barrel of the swivel if you prefer but you can use both methods) and using a lighter or steam from a kettle shrink the tube down. 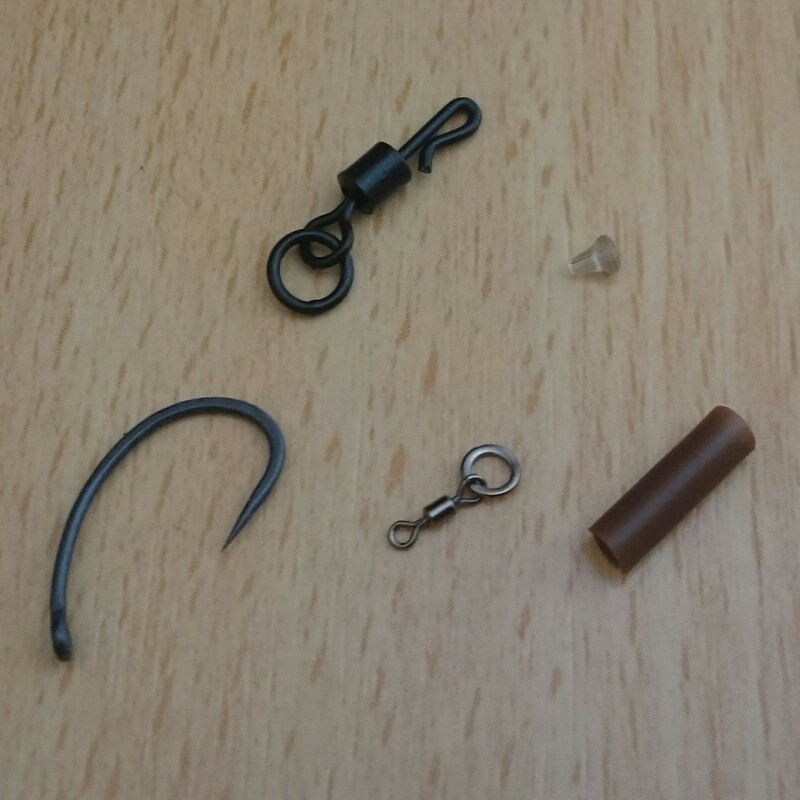 At this stage you will have needed to decide which item you are going to be using to attach your bait whether it is a micro swivel, metal rig ring or plastic bait screw. 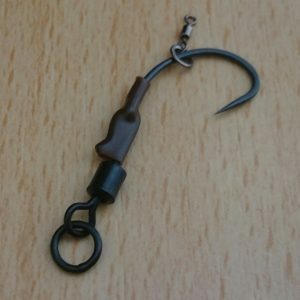 Once you have decided, slide it over the point of the hook and down towards the flexi swivel. Push a hook bait stop onto the point of the hook. For the best results make sure that the bait stop is positioned opposite the point of the hook. That’s it your Ronnie Rig is all ready to be tied onto your chosen hook length and attached to your lead.